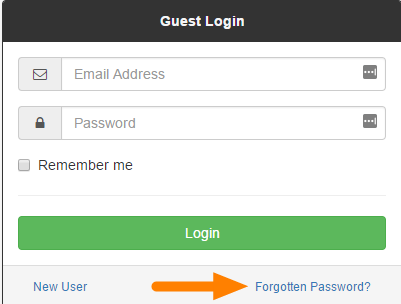 Help CentreUsing SuperControl Using the guest loginHow can a guest reset their password for the guest login? 2. The guest enters their email address and clicks Reset. 3. An email will be sent to the guest with a new password included. They will be prompted to change their password once they login. Prev: How do I set my options/extras to display in the guest login? Next: How does a guest pay an outstanding balance in the guest login?